By George it does appear that Spring is doing her best to expel Winter’s dogged hold on the outdoor temperatures, but as is the case at this distinctly bi-polar time of the year we quickly fall back into coldness. In any case this weekend we turned our clocks ahead (Daylight Savings Time) and lost an hour of sleep, but on the positive side the light of day will last longer moving forward. Here at Wonders in the Dark, my co-editor James Clark and his Canadian colleague J.D. Lafrance have maintained our high standard of film reviewing with a splendid assortment of art house, American indes and some seemingly forgotten commercial fare. This past week Jim brought us the 2018 French import Let the Sunshine In starring Juliette Binoche and J.D. featured the cult favorite Fear and Loathing in Las Vegas with Johnny Depp and Benecio Del Toro. Great stuff! A largely riveting Icelandic comedy-thriller Woman at War is currently playing at Manhattan’s IFC Film Center, where Lucille and I caught the 7:35 showing this past Monday (3/4) evening. Halla (Halldora Geirharosdottir in a superlative, often acrobatic performance) plays a woman on a mission, sabotaging aluminum plant power supplies in the island country, guided by the ideals of her two heroes, Gandhi and Nelson Mandela and aided by her “alleged” cousin and muses, a small band of musicians who seem to be following her on her principled journey. Surely unlike anything one is likely to see, and stylishly directed by Benedikt Erlingsson. (This is a 2019 film for all of us in the US as it opened this week stateside for the first time). We also viewed a pair of new film releases over the weekend at the Claridge in Montclair and at Manhattan’s Angelica Film Center. 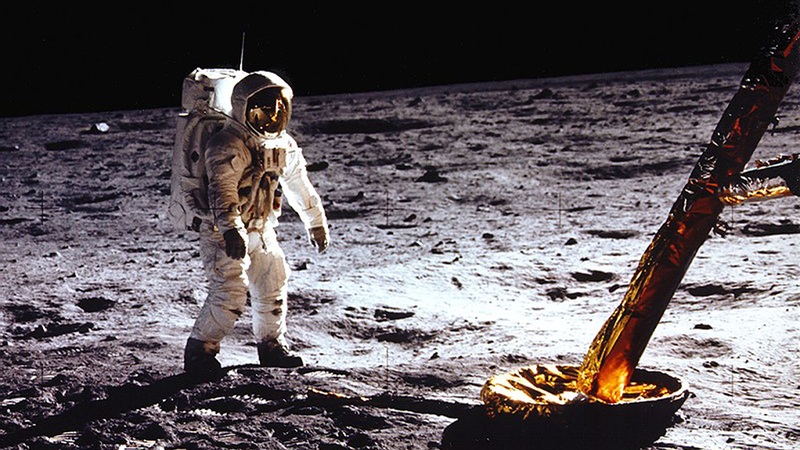 The breathtaking space mission documentary Apollo 11 included previously unseen archival footage and audio recordings to document the pulsating launch and landing on the moon by astronauts Neil Armstrong and Buzz Aldrin in a film that showcased the era and how Americans celebrated this life-defining event. JFK’s concluding tribute alone sent chills up your spine, but this is surely one of the very best films on this subject we’ve ever seen in any mode. Very close to a 5/5 rating…….On Saturday evening we treked over to Manhattan to watch Gloria Bell, a re-imaging by Chilean director Sebastian Lelio of his 2014 film, but this time in English and starring a wholly extraordinary Julianne Moore in a laughs-to-tears exploration of a complex and unpredictable character who embraces her feminism in most uncompromising terms. Moore is really the whole show even with John Turturro and Michael Cera in notable roles. Thrilled to hear of the glowing report on Apollo 11. Hope to see it over this coming week! No movies here this past weekend, we are still cleaning up after ice and snow damage – it brought a pine tree down in our yard and driveway and that had to be cut up and roots dug up. Then as the narcissus begin blooming we had to plant the replacement tree before things warmed up and juices started to flow. Tomorrow night make up book group is here at my house – dinner for 10 Whew just overwhelms me to think about it. We have had several days of sunshine though we are a full 10′ below normal still. I believe Apollo 11 is here in town, but I have tickets to see IRA Glass (This American Life) and that maybe all the entertainment for March. Have been busy with the homeless, anarchists, and one of our local school districts has gotten funding for a full high school assistance program to assist homeless youth in graduating. About 1,000 youth will have shelter and work programs until they graduate. Sam, I was rather hesitant to even consider the re-imagining of “Gloria” but your sturdy regard has me leaning towards a viewing when it crosses the river. 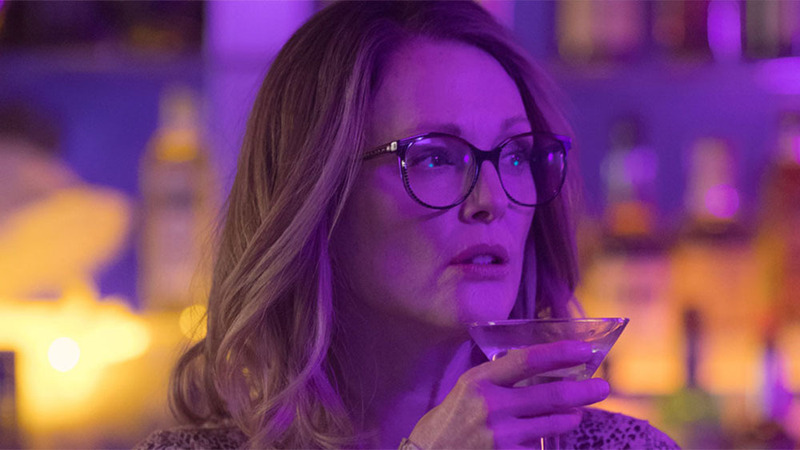 Of course anything with Julianne Moore is always desirable. I am sufficiently intrigued with “Woman at War” which seems to contains a measure fo perverse humor. I finally saw “Green Book.” Sue and I enjoyed it and thought both leads were excellent. But the Best Picture Oscar? Nah.